News: Another choice of treatment against obstructive sleep apnea. My name is Phirith RUN. 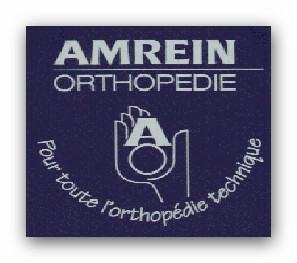 I work for Amrein Prosthetics and Orthotics. I would like to introduce you our new bandage solution against obstructive sleep apnea (OSA).This bandage has been invented by Dr Heinzer, a sleep specialist at cantonal hospital universitaire vaudois (CHUV),he himself suffers from apnea and Mr Amrein Olivier,a certified prosthetist and orthotist, in Switzerland. After a few years of studies and tests which have been conducted by Dr Heinzer in Switzerland and Dr Gauthier,another sleep specialist in canada,the bandage has gained its reputation for very positive effect on apnea suffers. Be informed that the patients are recommended to be examined and prescribed for the bandage by a family doctor or a sleep specialist to be able to get remboursement by the insurace,because the bandage is considered as medical product which has its own number of reference or position in association swiss technician orthopedics (ASTO) recognized by all insurances in swizterland. Since the banadage is a newly invented products,we recommend that an interested distributors contact our office in Switzerland for special offers. Please,kindly contact us if you have any questions. Comments for News: Another choice of treatment against obstructive sleep apnea. it is great to have a new solution to treat this kind of illness. Join in and write your own page! It's easy to do. How? Simply click here to return to Submit news about sleep apnea.